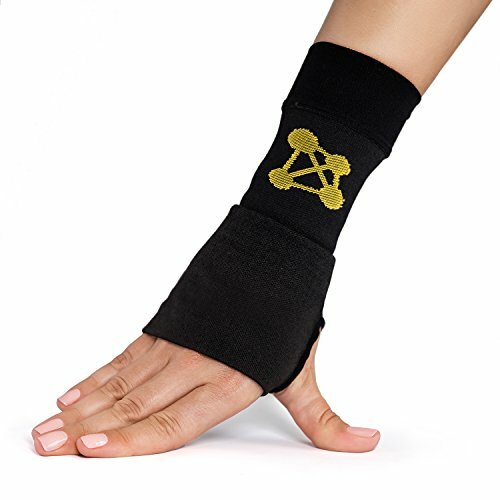 Carpal Tunnel Treatment without Surgery? I sure hoped so. In the steno industry (or any industry that requires constant use of the hands), carpal tunnel is the dreaded “C” word. Everyone’s scared they’re going to get it. People who have it want to know how to handle it without resulting in surgery. Inevitably in a captioning Facebook group I’m a member of, the issue of what splint is best, and if they’re even worth it comes up. As a person who works an insane amount with her hands, I was devastated a few years ago when I was told I had carpal tunnel in my left hand. In my line of work, if I can’t work, I don’t get paid. I was a court reporter at that time, my fingers were my bread and butter. I couldn’t afford to be out of work to heal from surgery. But even more importantly, I wondered if there was a way I could treat my carpal tunnel naturally. Luckily, my chiropractor is a nature-based physician and isn’t the type of doctor to jump straight to surgery. He explained that it is possible in many cases to successfully treat carpal tunnel symptoms with non-invasive therapies. Heck, I was thrilled to hear that….until he told me the first thing I had to do was wear a carpal tunnel splint brace while I slept at night. I hated the idea of it. All I could think of was how many times I was going to knock myself in the head at night. It seriously took some coercing to get me to buy one. To be honest with you, I didn’t think a brace would make a difference. I’ve known my chiropractor all my life, so I wasn’t shy when I told him wearing a wrist brace was a bunch of bunk. Basically he told me to shut up and listen and explained how it was going to make me feel better. 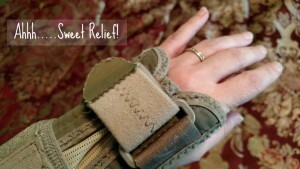 I couldn’t live without my carpal tunnel night splint! 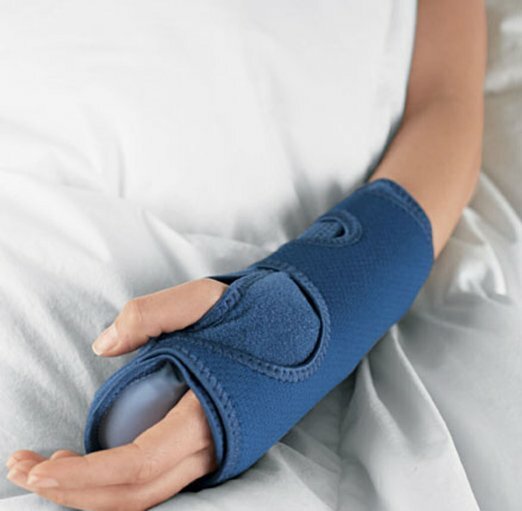 A night splint immobilizes your wrist to keep the pressure off of your median nerve. The pain from carpal tunnel syndrome comes from inflammation and pressure being put on that nerve. The reason why it’s best to wear a splint at night is because, let’s face it, we do some funky stuff in our sleep. I stick my hand under my pillow, under my head. I’ve woken up many times with a numb arm or hand. On a painful day, I baby my arm. But at night I have no idea what I do when I’m asleep. The pain got so bad, I gave in and tried it. It was weird feeling, but comforting at the same time. It was rough to get used to, but I finally did. I reluctantly agreed that, yes, carpal tunnel splints do help the pain. 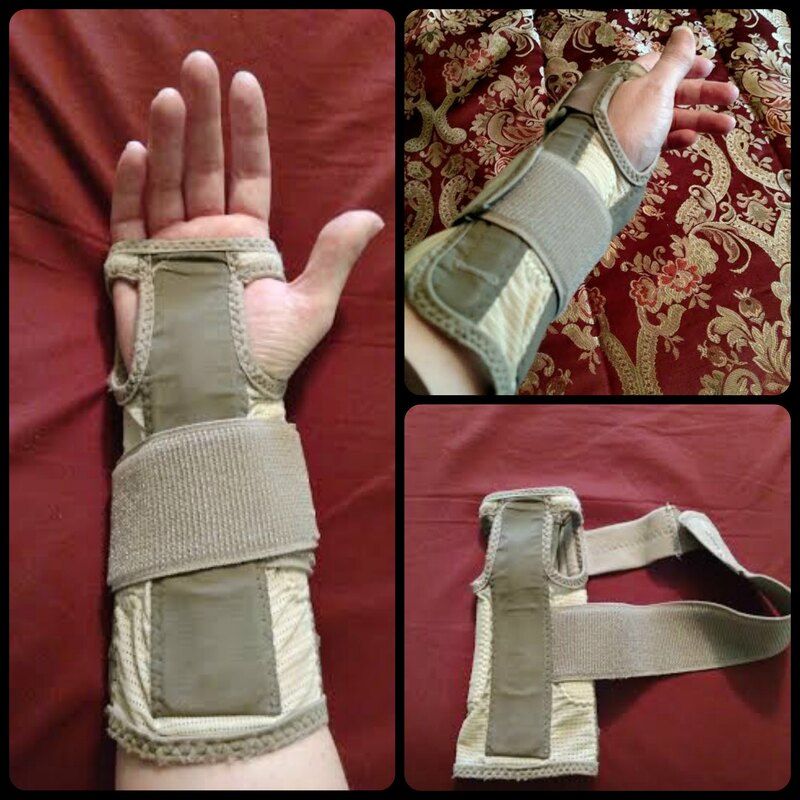 Secret to Finding the Right Carpal Tunnel Night Brace is Fit and….Read! Duh…. I can be oblivious, okay? The first thing to know is splints are like shoes. You need a right for your right, and a left for your left, and there are bilateral carpal tunnel splints that you can put on either hand. Just make sure you buy the right for your right (or left) hand! How do I know this? Because I bought a right hand splint for my left hand. Yeah, it pays to read. Another thing to keep in mind is sizing. 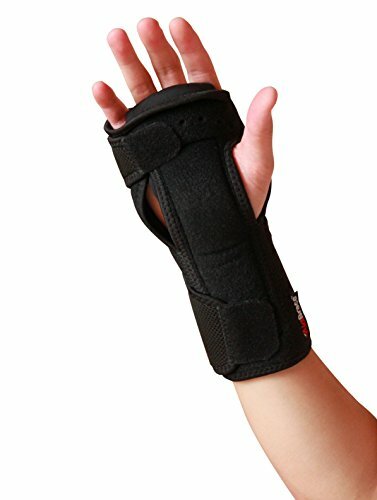 A lot of carpal tunnel splints are one size fits all, others come in small, medium and large. 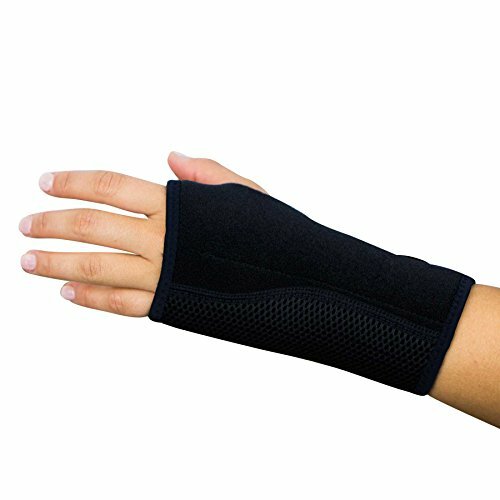 When it comes to carpal tunnel relief night splints, women really tend to have a hard time finding one that fits. I have very small wrists and hands. The first splint I bought was way too big, even when I pulled the straps as far in as they could go. It did the job, but it was loose and rubbed me raw in spots in the beginning. In my opinion, it’s definitely worth it to find splints made for a woman if you’re small boned. There is no one brand that is better than others. Some people say the more expensive the splint is, the better it is. I’ve had two, and I can tell you that’s not true. It’s more important to go by how comfortable the splint is, how well it fits, and how well it immobilizes your wrists more than anything. A night brace does no good for you if it’s too uncomfortable and doesn’t fit right. I know if I’m wearing something uncomfortable when I’m sleeping, it’s hitting the floor before I even fall asleep. Also, I really think it’s important to consider buying a bilateral wrist splint. I almost always have problems out of my left hand, but occasionally it’s the right that bothers me. I don’t like having to keep up with two, so it’s handy to have a splint that can go on either hand. *Be sure to see your doctor concerning your particular condition. My bilateral Splint. Love it! Hypnosis for Court Reporters: Does it Work?